Can’t find that dress? Missing a shoe? Does getting dressed feel like a scavenger hunt? 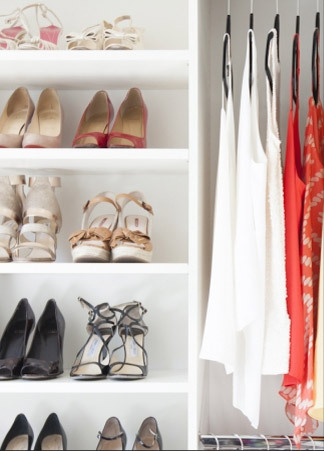 Our closet solutions will put everything in its place and in reach. Pantry Out of Control? We Can Help With That. 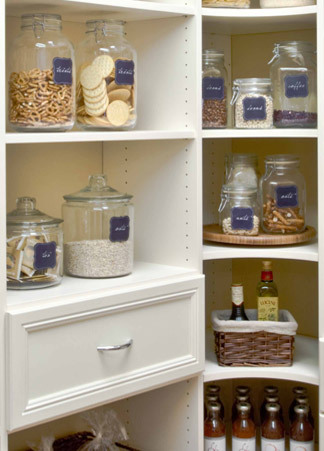 It may look like you’re out of space, but our Pantry Solutions re-think and make the most of the space you have. 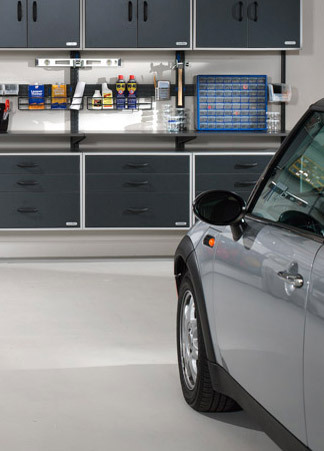 Is Your Garage for Parking or Storage? Your garage doesn’t have to be a battleground. Our Garage Solutions help your cars, boxes and tools coexist. Sort. Fold. Hang. No, You’re Not Dreaming. 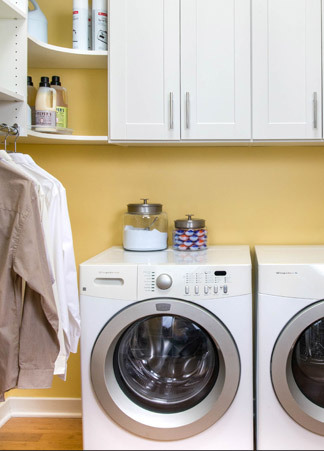 Our storage and organization solutions will turn your dream of a fully functional laundry room into reality. One of our expert consultants will visit your home to evaluate the space, learn about your needs, goals and budget, and present the options available for your space and budget. We will customize your space using software that will let you see your finished design as a 3D drawing. We will work with you to finalize your design so it is exactly what you desire. After your installation is scheduled, our clean, careful and courteous installation team will make what we have designed for your space a beautiful and functional reality. The last step is for our designer to visit you home again to make sure the project is completed and correct – and most of all, to make sure you are happy.